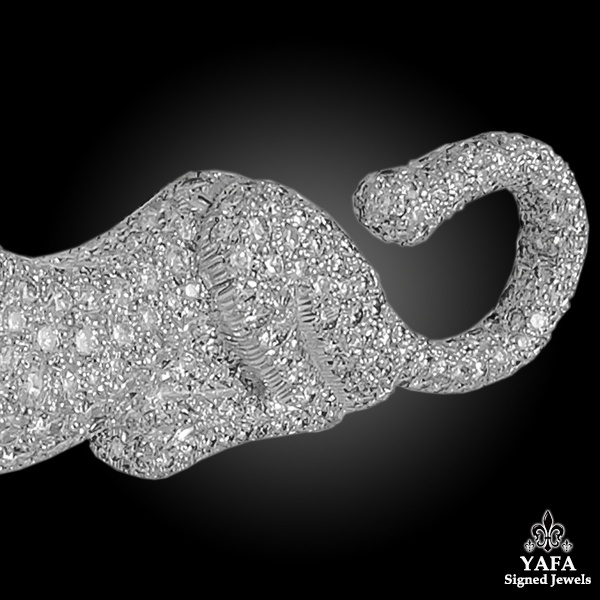 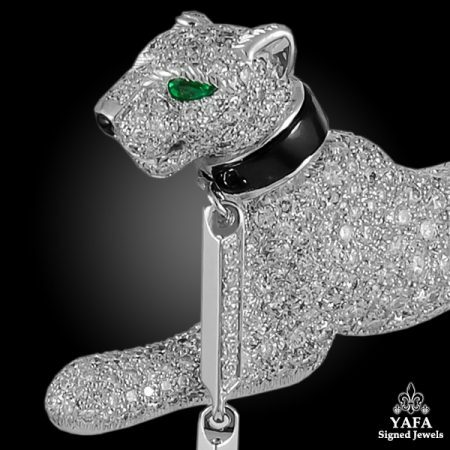 The Cartier panther, the Maison’s most iconic creature, made its first appearance in Cartier’s collections in 1914. 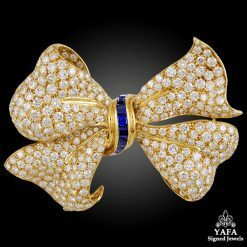 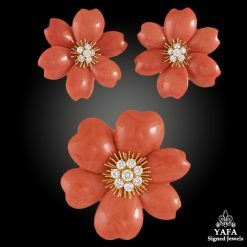 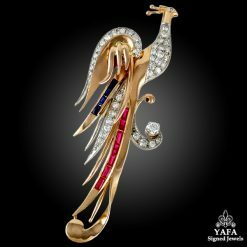 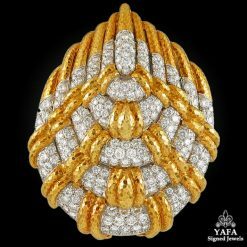 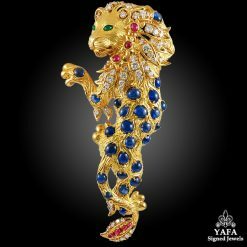 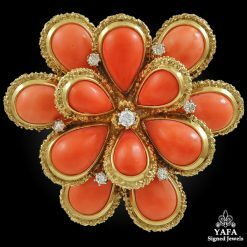 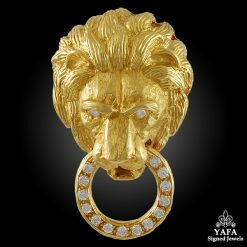 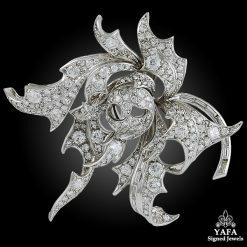 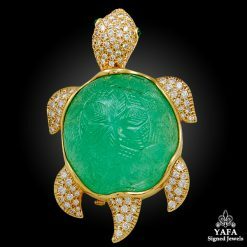 Since then, it has become a major symbol of strength and beauty for the jewelry house. 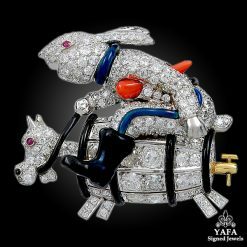 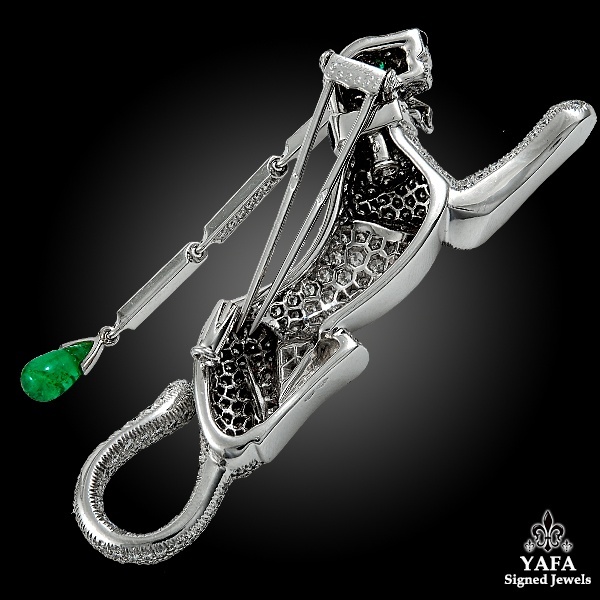 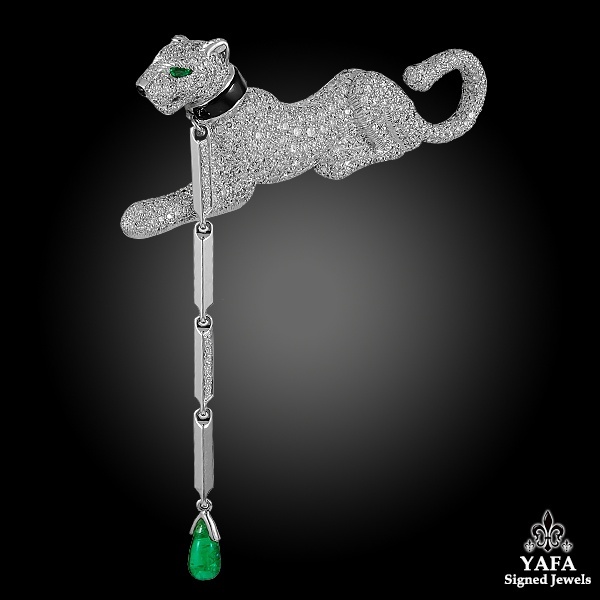 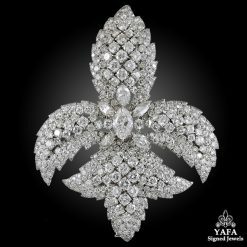 This Panthère de Cartier brooch is designed with pavé-set brilliant diamonds, an emerald eye, an onyx nose and collar to the detachable polished white gold and diamond leash, terminated by a drop-shaped emerald, finely mounted in 18k white gold. 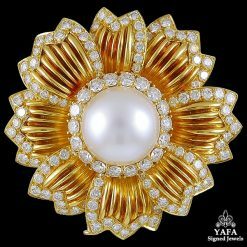 The brooch measures 6.5 cm in width.